The biggest cost item for the airlines is fuel and is one reason that alternative fuels are being formulated and tested. Besides price volatility and dependence on imported fuel, increasingly the environmental effects of petroleum-based fuel are being figured in. These add the cost of fuel to the airline, especially when considering potential emissions (carbon dioxide) and carbon trading. While much research parallels the automobile industry, the airline industry and the U.S. military are getting closer to using these fuels. The main obstacles are true for both. What will be the infrastructure for refinement and delivery of such fuels? Can present engine technology be used? What are the environmental impacts, carbon footprints for such? There are several sources of alternative fuels being explored. One is the development of synthetic fuel from coal, natural gas, and biomass components, using what is called the Fischer-Tropsch process. This process was developed by these German scientists during World War II because Germany was coal-rich and petroleum-poor. The U.S. Air Force seems to be taking the lead in this area and has already certified 50/50 blends of synthetic fuel using this process. Another source of these fuels is the use of crops that do not take away from the food supply. 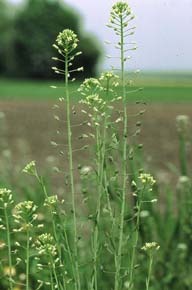 They include jatropha, camelina, algae, and biomass. There have been several demonstration flights to test these fuels. What has been surprising is that these flights have revealed that biofuels have a higher energy content than conventional jet fuel. This will be a "win-win" situation with more fuel efficiency and less pollution. Most of the research with these biofuels involve using present engine technology that will make it more cost-effective to use this fuel soon instead of waiting for years to use it. Particularly attractive to the airlines is that this,alternative fuel has a carbon footprint of near zero because any carbon dioxide that is generated in producing it, is offset by the carbon dioxide that the plants absorb while growing. While these different blends of biojet fuel are still in a trial basis for flights, a recent agreement was reached at Los Angeles Airport (LAX) to use synthetic diesel fuel for ground and cargo-handling equipment and catering trucks. This helps establish a market for this fuel now, also helping fund an infrastructure and delivery system that will benefit all in the years to come.